Hello! I always feel weird after a blogging hiatus. How does one blog again? Do we need to go through introductions?? I mean, HOW ARE YOU? How was your Christmas? What was your favourite present? TELL ME EVERYTHING. 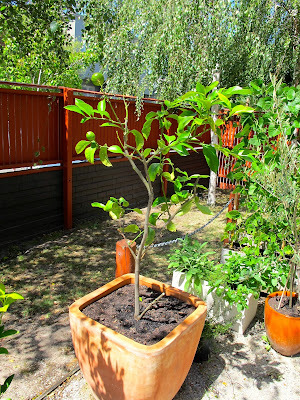 The thing I need most to tell you is that yesterday we had a lemon tree tragedy. It became apparent that our lemon tree had fallen ill, thanks to the Gall Wasp. 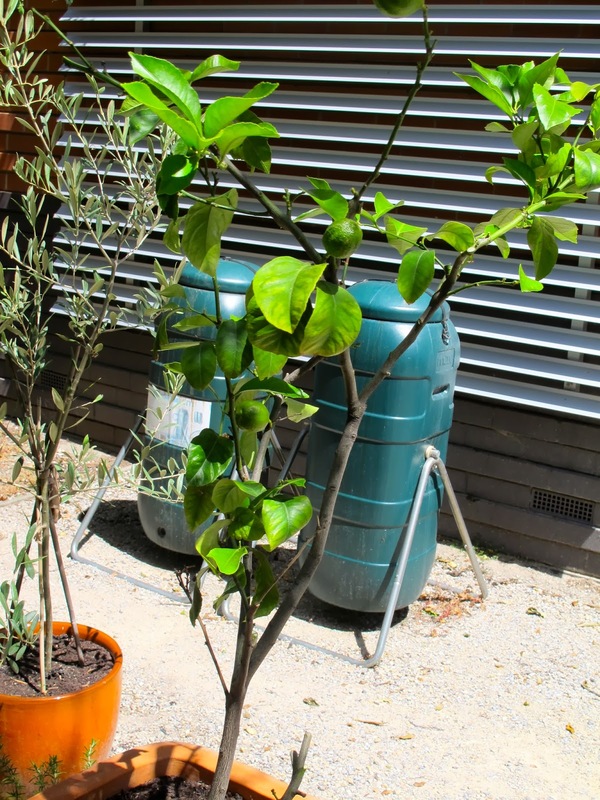 Gall wasps are a native Australian wasp from Queensland that build a nest in the branches (it looks like the branch is just bulging) of lemon trees making the lemon tree less productive and healthy. They used to not be able to survive in Victoria, but in the last decade or so have swept over the state. Thanks, climate change. Anyway, there is no way to get rid of Gall Wasps (at least that I've read about) except to cut off the branches which are affected by it, basically all the branches. It's so spindly and sad now. We had to cut off about five lemons. Gulp. I was pretty upset about this. I said to Inspector Climate: What will happen when we get a cat someday and it gets sick and we have to put it to sleep! I'm not going to be able to handle it! And then I started crying. I started crying about the livelihood of our future cat. Oy. The rest of our garden is doing wonderfully. 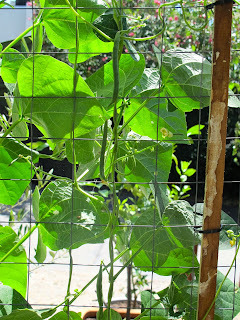 Green beans are elegantly climbing. 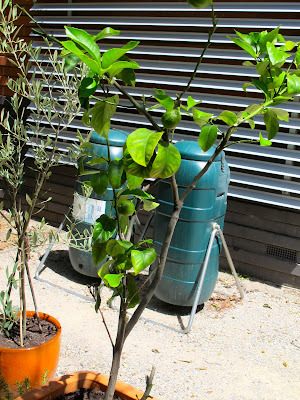 And our lemon tree is sending up one unaffected branch with a lemon on top. A lone reed (name that movie!). 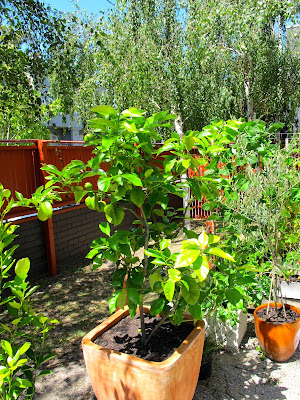 So sorry about the lemon tree. I know I would be so sad if the raspberries stopped flourishing. (is that the right word..probably not) but the bushes do take over the back yard. Oh..if we could have tomatoes! Well, very very bitter cold here in Nebraska. Actually, we had some warm days following Christmas and then the bottom dropped out and the wind came from the north. brrrr...here. I hate that this happened! 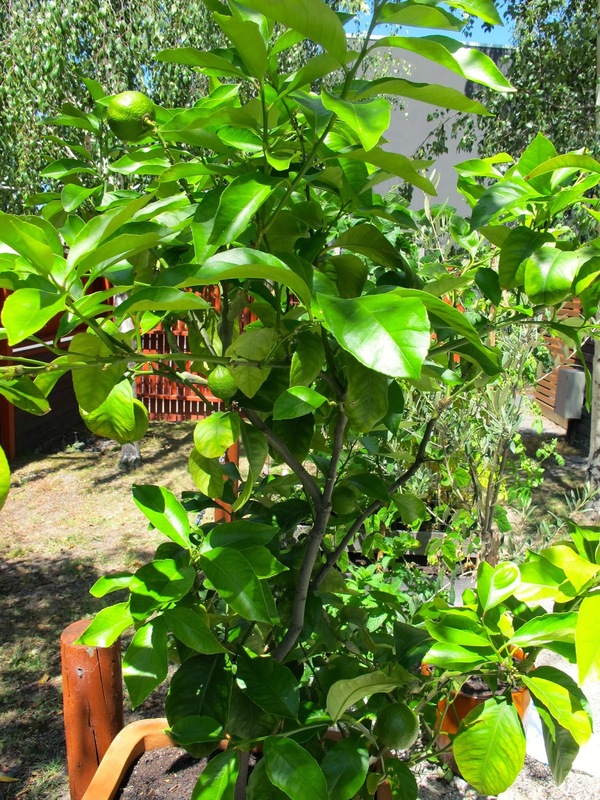 you love your lemon tree and are so proud of it! SAD! 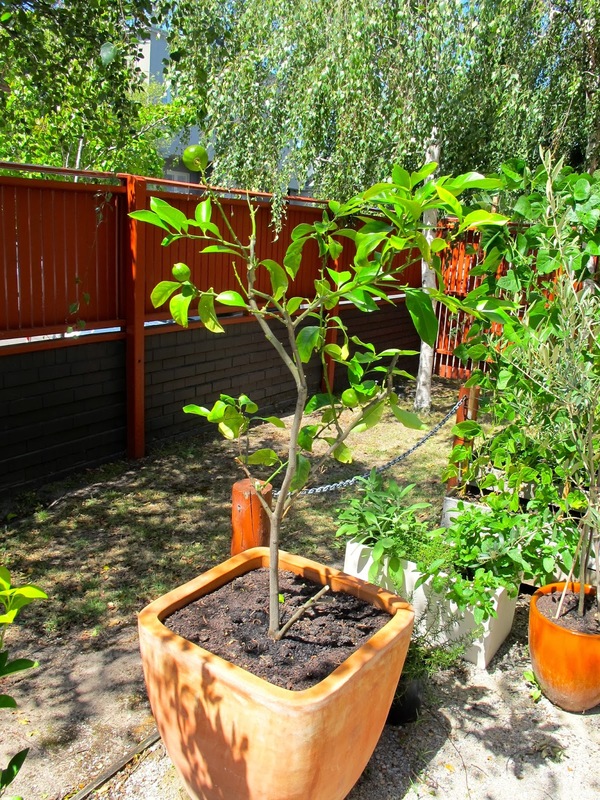 Poor little lemon tree! That's so sad. Glad to hear the rest of the garden is doing okay though. You have a really lovely one. Last summer we had birds eating all of our tomatoes as soon as they start turning slightly red, it was heartbreaking. Your garden looks lovely.. even the sad lemon tree looks nice.. all by itself. The survivor! I know what you mean about a blogging hiatus. I kept up with blog posts on my blog but at the same time; I've mentally been away from blogging. Now that I'm home.. I'm ready to get back into it..! Aw, I'm sorry to hear about your tree! At least you're going to be able to keep it alive.